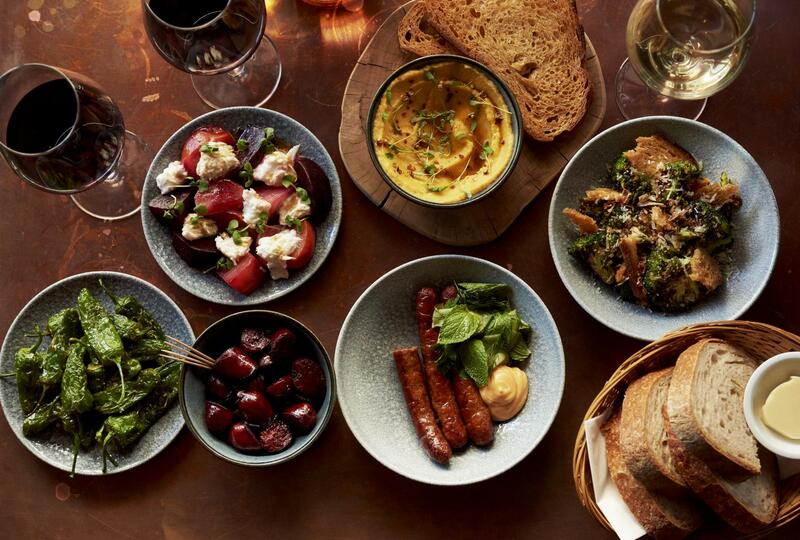 Located right in the heart of the historic Battersea Power Station development is London's Urban Winery and Kitchen. 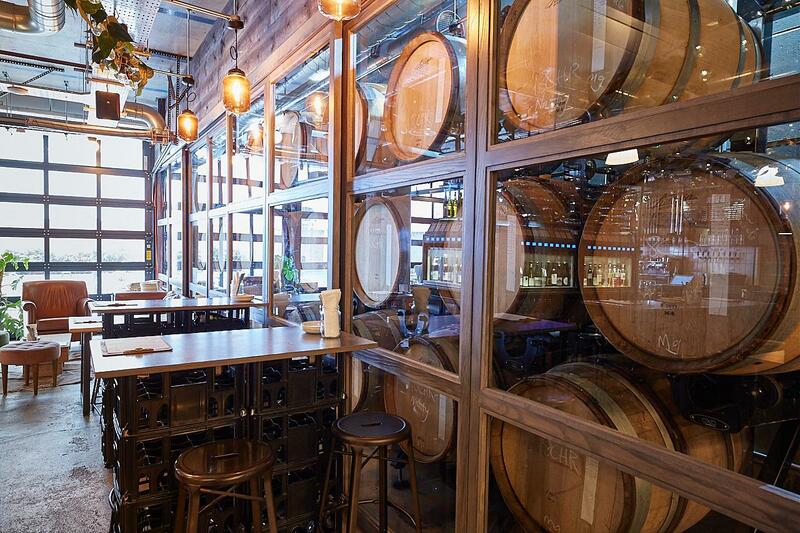 Guests can enjoy 100 + wines by the glass, tour the Urban Winery and enjoy food from seasonal sharing menus. Vagabond offers a unique interactive wine experience, the enomatic machines allow you to explore over 100 of some of the world's most exciting boutique wines by the glass. 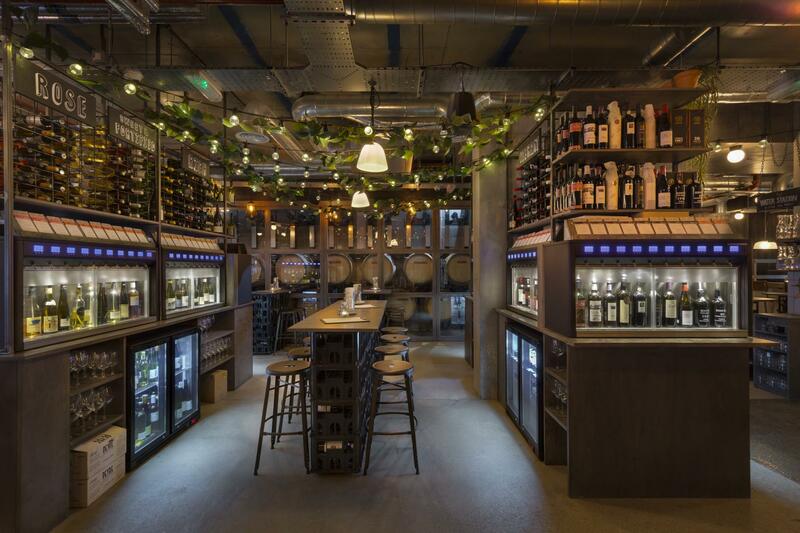 To top that, we make our own English wines in the space in our Urban Winery. Sip on Indie wines with a front row seat into the winemaking process. Events at Vagabond are designed with the client in mind to create bespoke and memorable occasions. Whether you are looking for a private celebration or corporate experience, we can build an event to suit you. 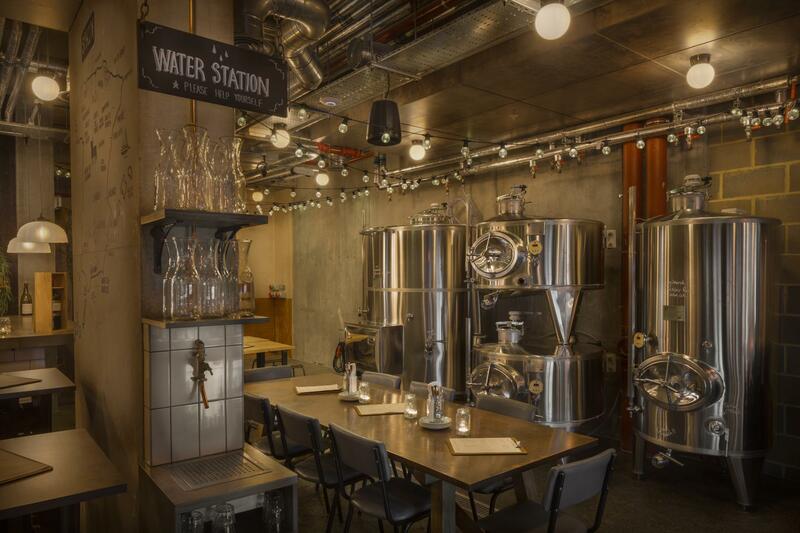 The full venue can accommodate up to 80 guests seated and 120 standing and has a range of spaces to suit groups of varying sizes. Vagabond specialize in wine events, popular tasting experiences include team building events. The full front of the venue opens up to an outdoor space and the premis has a live music licence adding that extra touch to your summer party. You can travel to the venue in style on the Thames Clipper or jump on the free shuttle bus from Victoria which runs every 20 minutes door to door. 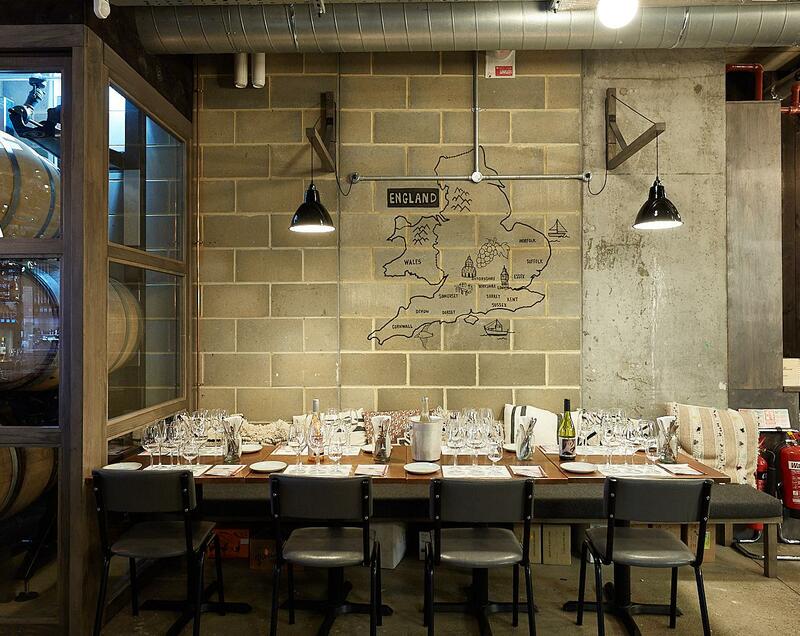 London's Urban Winery + Kitchen offers a unique and unforgettable events space. 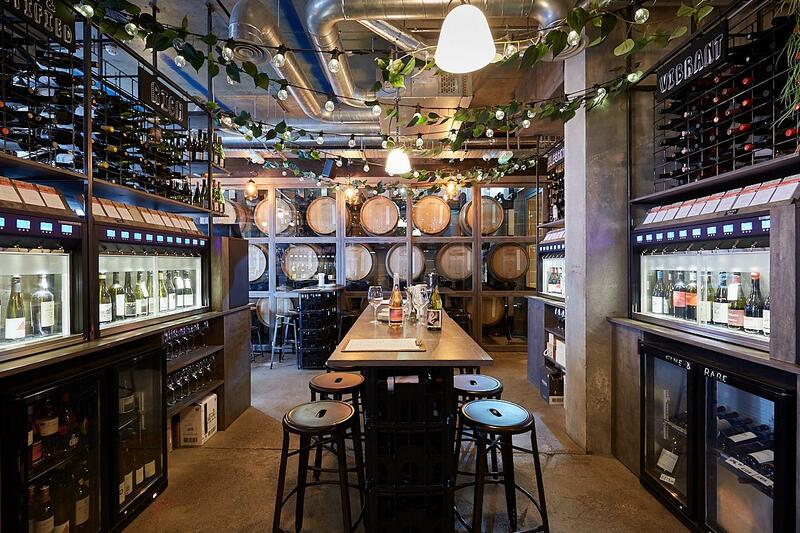 Vagabond offers an interactive wine experience with over 100 + wines to enjoy by the glass from their enomatic machines. 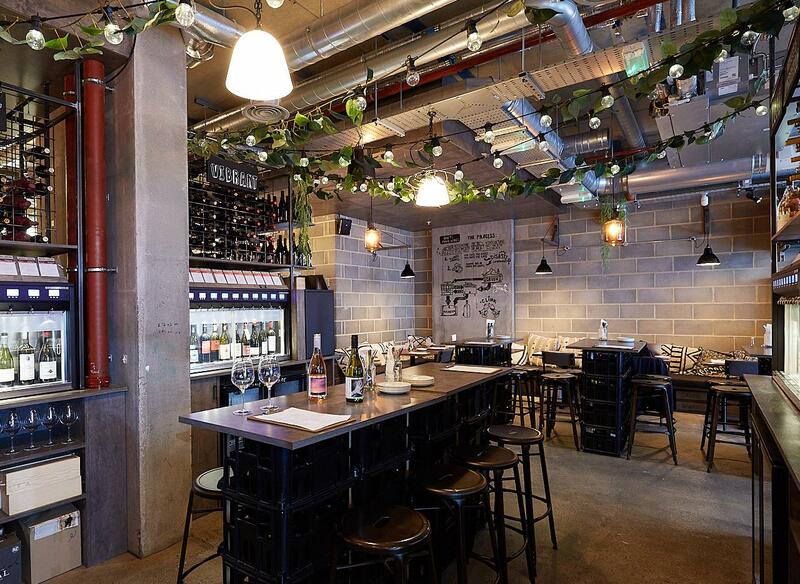 If that wasn't enough, Vagabond produce their own English wines in their Urban Winery. 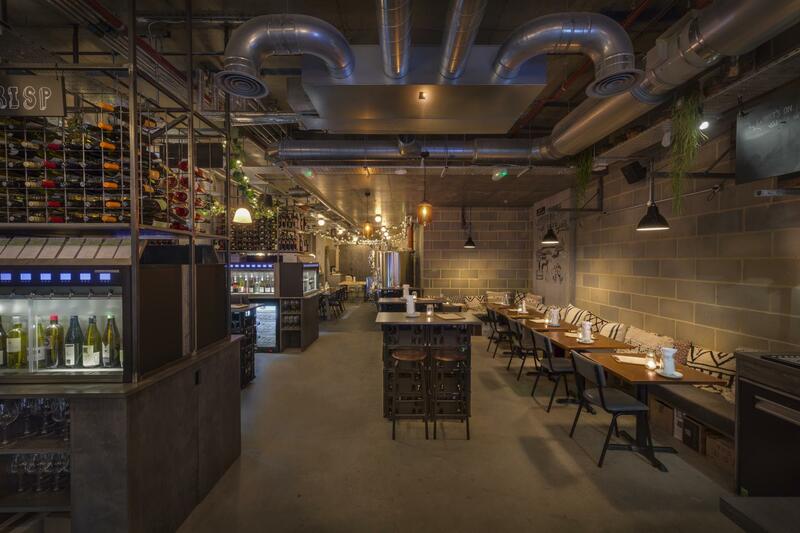 This flexible events space can host any thing from bespoke tasting events to large drinks receptions, dinners and everything in between. The full venue seats 80 and stands 140. There are a range of spaces within to suit groups of different sizes.